Bucket list is often a euphemism for the dreams I’ll get to someday. Why wait– especially when many of these epic destinations are way more affordable than you think. 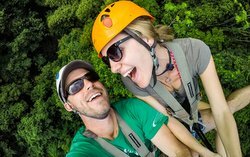 We’ve been honeymooning since 2012 and have experienced world wonders across the seven continents and kept our average budget under $40 a day per person. 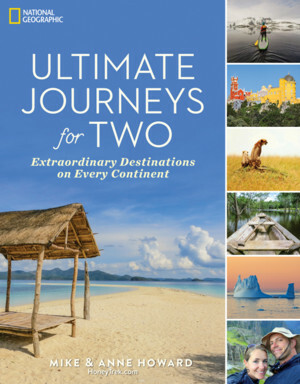 Of the 500+ destinations in the world we’ve explored, we recently narrowed them down to our 75 favorite places for our couples travel book with National Geographic, Ultimate Journeys for Two. Now, we’re sharing our secret list of places everyone should visit, no matter their budget. Note: Prices may vary depending on when you search. Jungle intertwines with architecture at Preah Khan Temple. The image of Angkor Wat’s honeycomb towers reflected in the lotus pond is one of the most iconic of Cambodia, if not all of Southeast Asia. That one temple, while the largest religious structure in the world, is just the beginning of Angkor Archaeological Park’s enchantment. After the fall of the Khmer Empire in the 1430s, the city was abandoned for centuries and almost entirely devoured by jungle, until its excavation in the 19th century. Bike to the most overgrown temples in the heart of the park. Twenth-century Ta Prohm is so fantastical, it starred in the film Lara Croft: Tomb Raider, while the less visited Ta Som and Preah Khan are just as cinematic, with stone-crushing banyans and serpentine strangler figs. Follow crumbling corridors, peer over walls, and find holy spaces reclaimed by Buddhist devotees. Money Matters: A one day ticket is $37, though we’d highly recommend getting the three-day pass to Ankgor Wat Archaeological Park for $62 (valid for 10 days). Head to the night market for authentic Khmer cuisine for around $1.50 and hotel rooms start around $8 at our time of booking (yes, that is not a typo). The Atacama’s legendary Moon Valley, dusted with salt. Sheltered between the 17,000-foot peaks of the Andes and the Chilean Coastal Range, the Atacama is the world’s driest desert. This would seem like an inhospitable place, but the pleasures are in its harsh extremes. The ancient lakes have dried into massive salt flats, shimmering with crystals and sky blue pools in Los Flamencos National Reserve. El Tatio geyser field erupts every morning with plumes of steam shooting 70 feet high. The town’s adobe and stick-roof buildings appear endearingly primitive, though behind those earthen walls are boutique hotels, mountain bike shops, and pisco sour bars buzzing with life. No matter what you’re measuring—rain, ambiance, or adventures—Atacama is off the charts. Money Matters: Rent a bike for as little as $5 and see the natural wonders without a tour guide or crowds. The most coveted attraction, Moon Valley, is a whopping $5 entrance. 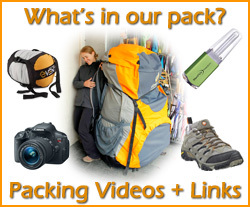 When we searched, we found lodging starting around $40. The mighty Napo river running through the Yasuní National Park. Dubbed the “Lungs of the Earth,” the Amazon is a place every nature lover should experience. Though, spreading 2.7 million square miles across eight countries, it’s hard to know where to begin. Our vote? Yasuní , Ecuador. In addition to being less expensive than the Brazilian side, the species density in this UNESCO Biosphere Reserve blows its neighbors out of the water. In a single hectare, Yasuní is home to more than 100,000 species of insects (that’s more than all of North America combined). And in less than 0.2 percent of the Amazon’s total landmass, you can find over 33 percent of its bird and reptile species. Plus, the region’s beauty is unquestionable, and the closer you look, the prettier it gets. Watch hundreds of parrots feast at the clay clicks, take a night walking safari to see countless nocturnal critters, and learn about the indigenous communities carrying on centuries-old traditions. Money Matters: Organize a local guide in the Amazonian gateway town of Coca for the most affordable rates, or try the reasonable Amazon Dolphin Lodge in the Pañacocha Biological Corridor ($150 per day, including transport, lodging, food, and excursions). Lioness tending her cubs in Kruger National Park. Safari destinations, filled with lions, rhinos, elephants,and cheetahs, rarely let tourists drive around on their own. Kruger National Park, on the other hand, has such incredible roads, rangers, and overall infrastructure that even two urbanites in a 2WD rental can safely take a game drive—for a steal! You’ll be astonished by how many of Kruger’s 800 animal species you can see without leaving your car. Though if you trek along the animal paths with a ranger, spend the night in a bird hide shelter, and take a 4×4 down the Mananga Adventure Trail, you’ll see why this is one of Africa’s most impressive parks. Kruger not only boasts the “big five” (rhino, elephant, African buffalo, lion, and leopard) but also more large mammals than virtually any other park on the continent. Money Matters: Rent a car from Johannesburg Airport for around $12 per day. Pay the ranger $23 and begin your self-drive safari around Kruger National Park. We found lodging near the park starting around $35. HoneyTrek Tip: If you plan on seeing more than one national park in South Africa, get the SANParks Wild Card to save on entrance fees. Each morning hot air balloons float over the valleys Cappadocia. Blanketed in volcanic tuff, Cappadocia has been slowly eroding into ruffled valleys, castle-like cliffs, fairy chimneys, and one the most otherworldly landscapes. As if its geological beauty weren’t enough to fascinate, these lava formations have been hand-carved into thousands of houses, inhabited by the Hittites, Romans, Ottomans, and present-day Anatolians. Though that’s just scratching the surface, follow the rough-hewn tunnels and go deep into dozens of underground cities like Kaymakli and Derinkuyu. Explore fifth-century rock monasteries where Christians practiced in secrecy at the UNESCO Göreme Open Air Museum. Then discover how inviting a cave can be with a night in one of the hotels or restaurants carved into the cliffs. Money Matters: Explore Goreme Open Air Museum for $9. We were able to find private rooms starting around $25. Hikes through the Love Valley have million-dollar views free of charge. Tonsai, one of the three main beach coves on Railay Peninsula. Only accessible by boat, the Railay peninsula has the feel of a far-flung island, but it’s the thick jungle and sheer limestone cliffs that shelter this oasis from the mainland. Everyone loves a good karst mountain, dripping with stalactites and sculpted with caves, but no one more than a rock climber. Railay has more than 700 routes bolted into the crags, plus sea cliffs perfect for deepwater solo: free climbing over the ocean and high-diving down. Not just for adrenaline junkies, Railay has four Andaman Sea beaches to suit your style: Railay West (resortgoer), Railay East (flashpacker), Tonsai (devout climber), and Phra Nang (anyone seeking a “world’s best beach”). Try them all; the journey to get there— swimming, hiking, rock scrambling, or beachcombing—is half the fun. Take a boat to the surrounding islands, night snorkel in the bioluminescent waters, and do what those in Railay do best—hang out and enjoy life. Money Matters: Sail to the cliffs for a deep water solo climbing trip, plus snorkeling, BBQ on an island, and a fire show for around $36. We searched and found Railay lodging starting around $25. Sunbathing on one the world’s most beautiful beaches, $0. We were trying to figure out on what island of Indonesia Flores is on? We read your comments but couldn`t locate the spot.